If you open serial monitor of Arduino IDE, you’ll get values when something is present closer to it or not present. You’ll notice that I have written if(sensorValue>700), that 700 is near maximum value I read on serial monitor. It may be different for you and you need to adjust the value. Also you may adjust delay(100) value for desired effect. This Article Has Been Shared 6536 Times! 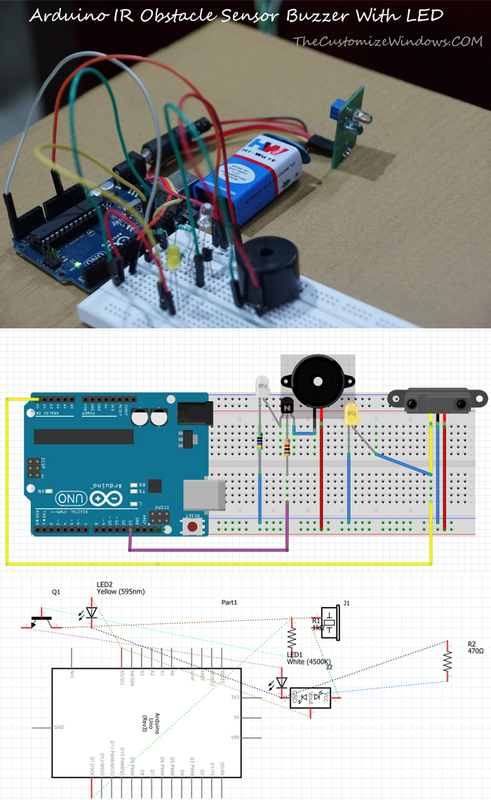 Cite this article as: Abhishek Ghosh, "Arduino IR Obstacle Sensor Buzzer With LED," in The Customize Windows, April 23, 2018, April 23, 2019, https://thecustomizewindows.com/2018/04/arduino-ir-obstacle-sensor-buzzer-with-led/.